Having a good time, going out with friends, and splurging on something you really want are all good and well, but they can make staying with your budget difficult. A budget is one of the most helpful tools students can use over the course of their college career. Unfortunately, successful budgeting can be difficult. 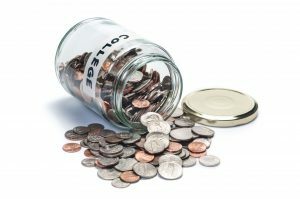 Here are some of the best tips to stay on budget and help you save money! Know Yourself: You’ll have to know yourself to set workable goals for managing and saving money. That is, maybe you want to save $100.00 each month, but you know that by the end of the month you will spend at least $15.00 of that money on a meal with your friends. Plan to save $85.00 each month and work $15.00 into your budget to spend with friends or on something fun. Wants vs. Needs: Learning to differentiate between wants and needs can be incredibly useful when you’re trying to create a successful budget. For example, a candy bar might be a want, but a new notebook for class could be a need. By writing a list of your daily, weekly, or monthly wants and needs, you will be better able to factor them into a realistic budget. Creating a wants and needs list can also help you cut back on impulse buying, which will help you save money! The Right Tools: It is important to use the budgeting tools that work for you. If paper and pen will help you create a budget and stick to it, use paper and pen. If you need to use an Excel spreadsheet to organize your finances, that’s easy to do. If you’re like me and forget to write things down or keep track of them, a budgeting app, such as MINT, is a great way to go! Having a monthly budget will help you reduce your spending and track where your money is going. Best of all, you’ll be less likely to scramble for money in unexpected situations. So even though budgeting isn’t always glamorous or fun, it’s something everyone should try to incorporate into their lives. Challenge yourself to create a budget and stick to it – even if it’s just for a month. Christin Martin graduated from Castleton in 2018. During her time at Castleton, she served as a Senior Community Advisor and a TRIO Mentor. She has co-coordinated the Game of Life, a financial literacy game for undergraduate students. Currently, she is the assistant director of student life at Northern Vermont University.